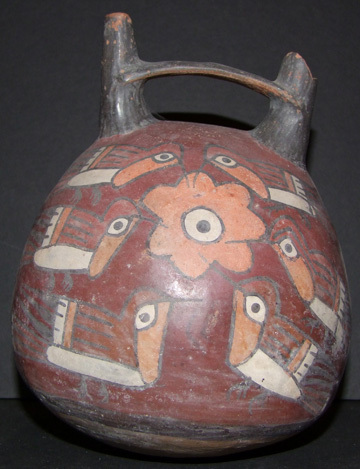 Hummingbird and Flower Vessel, Nazca, double spout and bridge vessel, 6.5 x 6 inches. The Pre-Columbian artifacts will be on exhibition through November 17th. 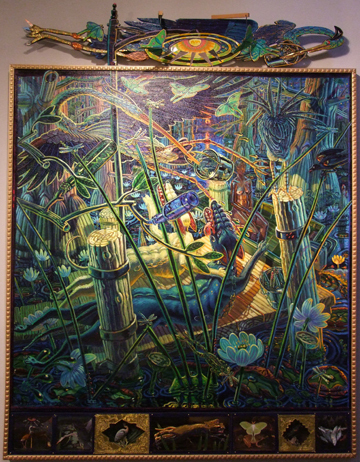 Mark Messersmith, Unquiet Strategies, oil on canvas and mixed media, 2012. Also on exhibition are New Acquisitions from the MoFA Collection. Included in this exhibition are works by Harriet Bell, Mark Messersmith, Joan Miro, Philip Pearlstein, Pablo Picasso, Robert Rauschenberg and others that have recently been gifted to the Museum collection. New Acquisitions from the MoFA Collection will be on exhibition through September 15th and from October 11th through November 17th.